New Delhi: India’s second-largest publicly traded carrier, Kingfisher Airlines Ltd is in talks with private equity investors to raise $400 million (Rs1,864 crore) and use the proceeds to pay debt, chairman Vijay Mallya said. 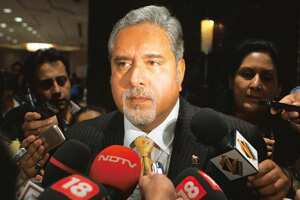 “We are in advanced discussions with private equity investors," Mallya told reporters in New Delhi. The company plans to use the funds to reduce the debt of the airline and save on financial costs and therefore improve profits. Kingfisher Airlines, which last posted an annual profit in 2003, plans to cut interest costs that accounted for 9% of the firm’s expenses last year. Indian airlines including Jet Airways (India) Ltd are also planning to sell shares to pare debt amid rising costs and slowing travel demand. The Bangalore-based airline has Rs6,000 crore of debt, almost a third of it coming from payments made to purchase new aircraft, chief financial officer Ravi Nedungadi said on 22 September. Kingfisher Airlines is part of Mallya’s UB Group that includes United Spirits Ltd, the maker of Kingfisher beer and McDowell’s No. 1 Whisky. The carrier’s shares, which have risen 28% this year, gained 5.5% on Monday to Rs52.4 each on the Bombay Stock Exchange. The company may also raise fares to help reduce costs, Mallya said, calling the increase inevitable. The company on 6 November increased its fuel surcharge. Kingfisher earlier this year delayed taking delivery of Airbus SAS A380 aircraft to 2014 from 2012 after scrapping three orders with the Toulouse, France-based plane maker last year. Jet Airways, India’s largest domestic carrier, in September said it plans to sell shares to institutional investors as part of its $400 million fund-raising plan to cut debt and raise working capital.